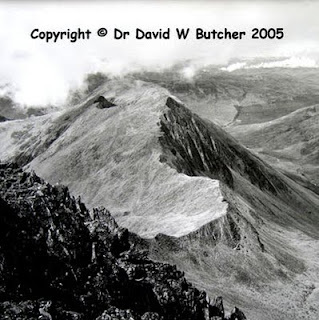 For almost 12 years to June 1996 my wife Jan and I walked the Munro’s in Scotland (mountains over 3000 feet). There are 284 of them, hence the length of time involved. I have just created a new web page called Munro’s with quite a bit of detail on this extended walking and climbing project. It took a lot of planning to group them into reasonable walking days without leaving too many single peaks scattered across the Highlands. There will also soon be a complete list of the Munro’s in the order in which we walked them, including walk times and other details. I have hundreds and thousands more so if you don’t see the Munro you are interested in please contact me, there is a good chance I will have something in my picture library. 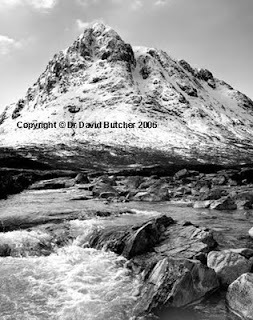 For information, I also have lots of photographs of other mountains in Scotland that are not Munro’s (we still visit Scotland regularly), again ask if you don’t see what you are looking for. 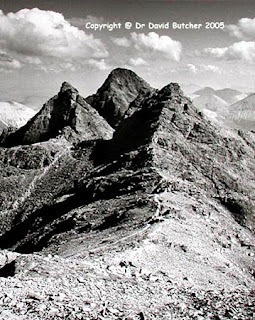 The photographs displayed here are, from the top, Sgurr Fhuaran (5 Sisters of Kintail), Buachaille Etive Mor (Glen Coe/Glen Etive) and Sgurr nan Gillean and Am Basteir (Black Cuillins on Skye).